A passed down family recipe! This easy chocolate fudge is made in one bowl, has 5 ingredients, and is cooked in the microwave for 90 seconds! The easiest dessert you’ll make this holiday season! 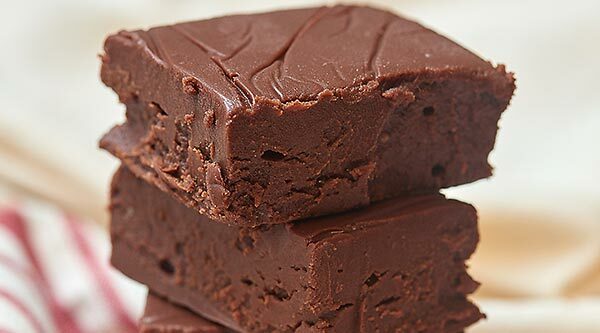 This Easy Chocolate Fudge is one of our most popular recipes (originally posted December 3, 2014), so I’ve updated it to include a how-to video! Enjoy! If you love easy chocolate fudge, you’ll go nuts for these other recipes: easy peanut butter fudge, microwave fudge 4 ways, holiday chocolate fudge. I’m back with another scrumptious one bowl dessert and it’s called Easy Chocolate Fudge. Who’s excited?! A. They loved the brownies. B. I only had one bowl to wash.
Would it be wrong for me to say B? Kidding…kidding…but seriously, during the holidays, I find that our kitchen is just never as clean as I want it to be. Over the past few days somehow I’ve spilled lentils, pumpkin seeds, salad dressing, powdered sugar, and brownie batter all over our kitchen floor. It’s only Wednesday, so who knows what’s next! Long story short, we are not having visitors over until I can get the kitchen under control. Messy kitchens and the success of my one bowl brownies are the inspiration for posting another one bowl creation, easy chocolate fudge. Thank goodness I married Trevor. Before him, I had ZERO appreciation for fudge. Now that we’re married… I love fudge! Why all of a sudden you ask? Because I got access to another amazing family recipe (have you tried this stuffing recipe yet?) 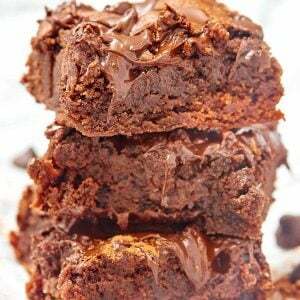 – aka this easy chocolate fudge. I love family recipes! It’s so interesting how they get discovered and then passed down from generation to generation . . . My MIL’s mom had originally heard the recipe on a radio talk show while her husband was driving, scribbled it down, and tweaked it from there. I love how they’re always sooo tasty, too. I’ve never had a bad family recipe, it’s always something comforting and loaded with flavor. 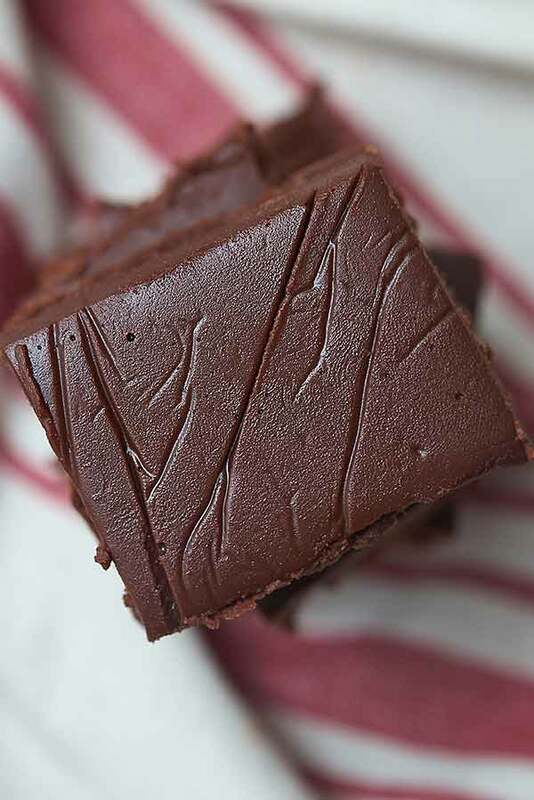 There are only 5 ingredients in this easy chocolate fudge recipe. Simple, delicious, and made in literally 90 seconds. What are the ingredients to make easy chocolate fudge? 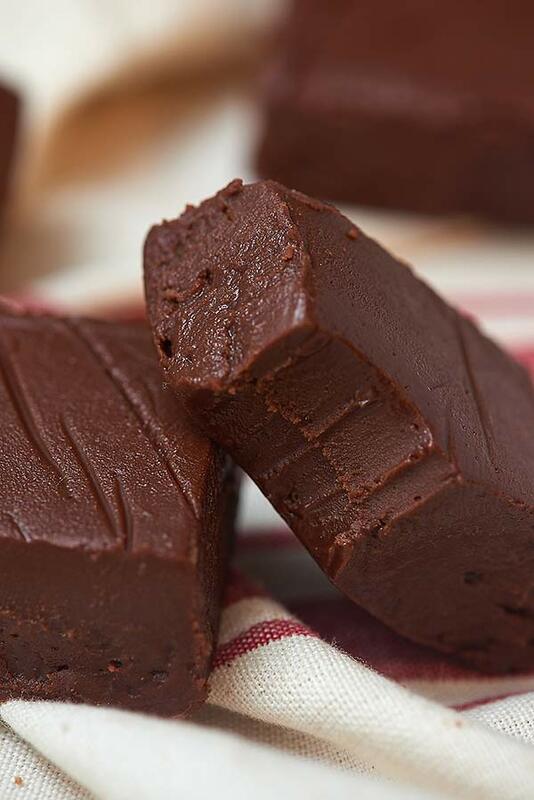 How do you make homemade microwave fudge? Place all of your ingredients in a microwavable bowl, minus the vanilla and optional nuts. During this 90 seconds, line a small pan (I used a 6 x 8) with saran wrap. Remove from the microwave and whisk until smooth. Then stir in vanilla and optional nuts. Pour into the saran wrapped pan, cover and place in the refrigerator until hardened. Slice, serve, and go nuts! This easy chocolate fudge is ultra thick, smooth, creamy, and extra chocolatey. 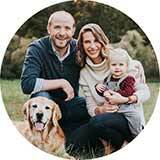 I promise, it’ll totally be worth that 90 seconds it takes you to make it! Do you want more fudge recipes? Show Me the Yummy! A passed down family recipe! This easy chocolate fudge is made in one bowl, has 5 ingredients, and is cooked in the microwave for 90 seconds! The easiest dessert you'll make this holiday season! Line a 6 x 8 (or similar sized) glass pan with plastic wrap or wax paper misted very lightly with cooking spray. Put all ingredients, excluding vanilla and optional nuts, into a bowl. Whisk in vanilla and optional nuts. Pour into prepared pan, cover, and chill in the refrigerator until set. My family and I have made this recipe hundreds of times and it sets every time for us! *Nutritional information DOES include nuts. *Without nuts would be 138 calories per serving. 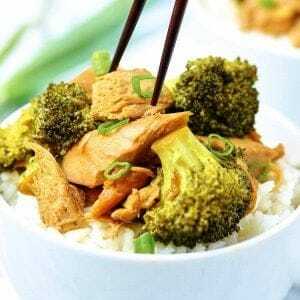 This looks like such a quick and easy dish, not to mention delicious. The notion of it being stirred up in a single bowl makes it a winner too! i almost swore out loud when i saw this it looks so good! oh im so hungry now. wow just so well made too! Ha! Thanks Kelsey 🙂 I hope you get a chance to make it sometime!! This fudge looks PERFECT!! So smooth and creamy…I want!! Yum, that looks amazing! And so fast and easy! Family recipes are totally the best, I love how they get passed down and you usually don’t even know where they came from! I’ve MADE this before!!! It is SO good. Yours looks even better than mine! I don’t have a six by eight inch glass pan. Are there any other options? A pie pan? What sizes do you have? The smaller the pan, the thicker the fudge will be. I don’t see why a pie pan wouldn’t work, just make sure to line it so it doesn’t stick 🙂 The recipe could be easily doubled, too! Let me know how it works out! I just doubled the recipe. I had to cook it in the microwave for double the time, but it worked well!! 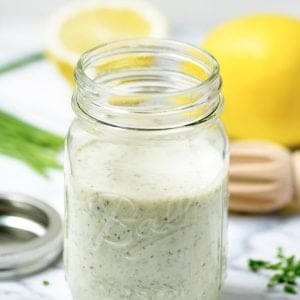 I love how simple this recipe is to make!! This looks so amazing! Loving how easy this is to make. Definitely trying this recipe! I do not have a microwave … could I use a double boiler or even just a pot on the stove to make this? This sounds a lot easier than the fantasy fudge recipe on the back of the marshmallow cream jar. I had a serious case of chocolate craving coupled with a dose of hot, summer heat induced laziness. I didn’t want to drive anywhere. 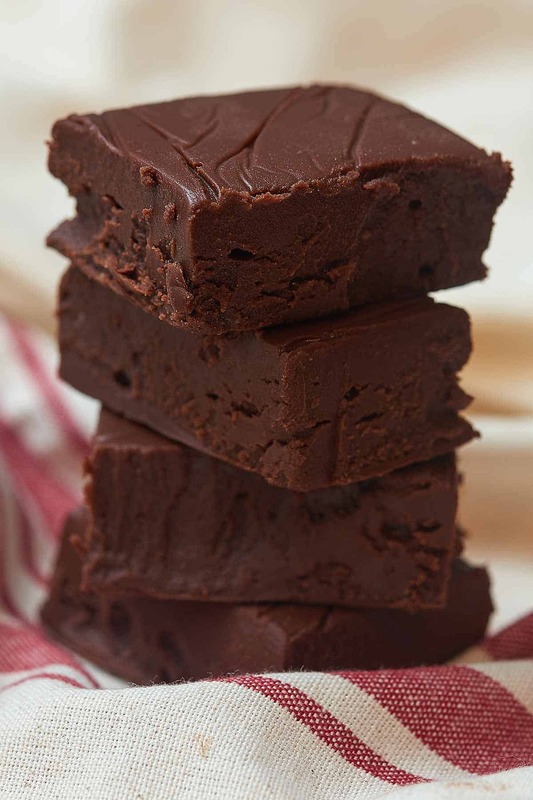 I can’t tell you how perfectly timed & delicious this super easy fudge was to make. I will definitely check out your other recipes. Thanks for such a great recipe! Hi Molly! I’m so happy the fudge turned out well for you. You really can’t beat a dessert that takes 90 seconds to make! 😉 I hope you enjoy other recipes around the site. 🙂 Thanks again! This fudge is SO GOOD… I used nuts in mine and won a cook off with it! Literally, This fudge won a cook off. It is fudgey Ambrosia!!! Hi Katelyn! That’s so bizarre! Maybe try cooking it longer next time? Or there may have been too much liquid or not enough powdered sugar. Maybe some of the ingredients didn’t get fully whisked together? Did you put them in the refrigerator to set? What size pan were you using? Hi, I just made a batch for hubbie (he’s the one with a sweet tooth 🙂 He couldn’t let go of the box! Addicted with just one bite! 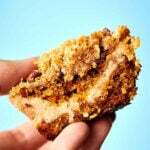 (I can hear him walking around in the house till he believes a reasonnable amount of time has elapsed since his last helping.Thank you for this quick and easy delicious treat. Bahahaha! Love it Anouche! Trevor does the same thing 🙂 Thanks so much for making the recipe. It was super runny!! I followed the directions and even after one day covered in the fridge it still was dripping when I tried to get if out. Hi Kayla! That’s such a bummer, sorry that happened! I’ve never had the problem, so I’m not sure what went wrong. What size pan did you use? My guess is that there wasn’t enough powdered sugar. I’m wondering if the ingredients were measured before or after sifting – would that make a difference? So I made fudge for the first time with your recipe. I had been really intimidated by the idea, but your recipe is so easy I had no trouble. I forgot the vanilla and didn’t quite get all the lumps of powdered sugar out, but it’s still delicious. Thanks so much! Mine didn’t set up, either I even put it in the freezer! I added more powdered sugar, but that didn’t help. The flavor was very good! I have made the peanut butter fudge in the microwave, but wanted a chocolate one! 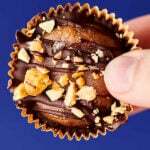 This is made the same way, and with cocoa instead of morsels, which is better! Both are delicious and simple. Christmas is coming, so found this timely. Thank you! Yay! Thanks so much Margaret! Glad you enjoyed this 🙂 LOVE the idea of making a peanut butter version! Ok, so I am currently making this and have no idea how many cups are a lb of powdered sugar. And yes, I already unbagged it. Yikes! Help please? Hi Rosey! A pound of powdered sugar is about 3.5 – 4 cups 🙂 Enjoy! I notice you say 1 lb sugar is 3.5-4 cups, but when someone says theirs didn’t set, you say it might be because they didn’t add enough sugar. Isn’t that rather confusing? There should be an exact amt. if it’s important. You may get lucky and it might say 1 lb on the bag. This was a great recipe. Thanks for sharing. Had a hankering for some good old-fashioned fudge like my mom used to make , found your recipe online and just put my first batch in the fridge to set. I can say already the taste is absolutely *amazing* ! I’m going to experiment with ways to “jazz” it up for holiday gift giving. I’m thinking of peppermint bark , marshmellow cream drizzling , etc. Aww thank you! Here’s a jazzed up version of the fudge you might enjoy (with cinnamon, rum or bourbon, eggnog): Holiday Chocolate Fudge. I love the idea of peppermint or marshmallow! 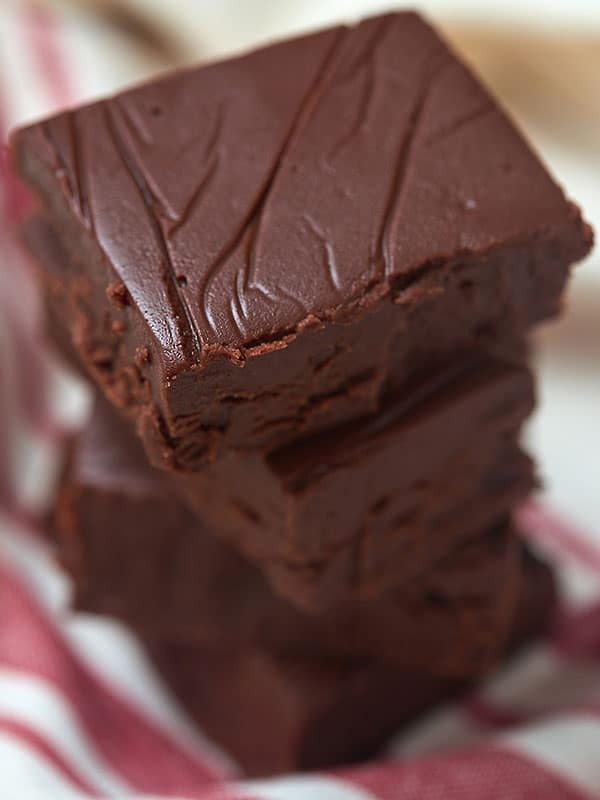 Another fudge recipe is definitely on my list… so keep your eyes peeled for a new recipe! Amaretto is another great flavor with chocolate! Also orange – hmm, can we tell my favorites. A “local” company makes all sorts of flavored fudge, but not convenient (thankfully), so only get it when I go to one of the big events at the fairgrounds. I saw this after I made it, and that sounds like an awesome idea! Next time! Hi Ghalia! It definitely shouldn’t be super liquidy after it’s cooked in the microwave. I’m guessing either 1. Not enough powdered sugar was used (or too much liquid) or 2. It didn’t cook enough in the microwave. How long has it been in the fridge? It does take a few hours to firm up. Was craving chocolate fudge and didn’t want to use the oldie but a goodie Betty Crocker recipe that calls for corn syrup and the ever watchful eye on the candy thermometer. This was soooo easy and even better, delicious. Thank you for posting! This fudge sound divine! Perfect for a weekend treat! I’ve got 90 seconds! And all those ingredients! Woohoo!! Thank you! You can’t beat rich fudge can you?! Thanks for passing these over to all of us, they look magical! I love family recipes! Totally saving! Thanks for the how-to! I’m going to try this today!! 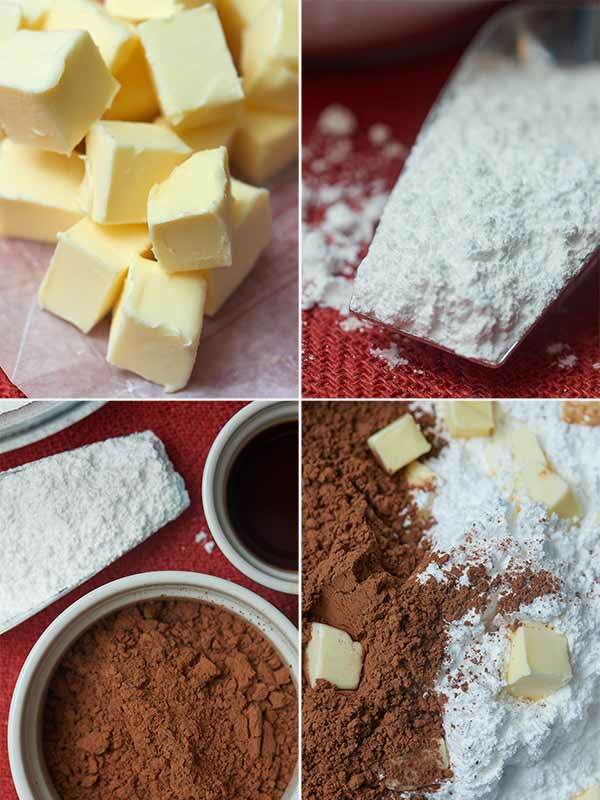 Is there an alternative to using the powdered sugar? Can I try using granulated sugar or brown sugar and grinding them up to powder consistency? It does 🙂 Thanks Jennifer! I think I need to make this for the holidays! Looks so good and so easy! I have a small microwave what is the watts for yours please, so I can adjust time. What watts is your microwave ,mine is 500watts. Time will be different if yours is larger. This recipe looks great. I don’t have a glass pan I have a metal pan would that be okay? And do you think I can substitute vanilla with something else like orange extract? Absolutely! 🙂 Peppermint is also great! Ok its 1:53 exactly and i will start this recipe in exactly 5min then im going to come back and let all od you know how it went .Good luck to me! Good luck! 😉 🙂 Hope you love it! I think it is too much vanilla extract. When I tasted a piece of the fudge I was taken back by the overpowering vanilla taste. Other than that it’s a great recipe! I am on a quest for the perfect fudge I don’t have to use marshmallow in (feels gritty to taste) or stand over a double boiler. When I saw this I was struck with the thought it’s my chocolate frosting recipe. The only difference is the chocolate milk! Well, why not? I’ll make this up ASAP! If you want a great frosting use more milk, or even coffee, for a slight java blast. Can’t tell you amounts, just “til it’s right” as my mother used to say. Looking for an easy recipe for fudge and found this ! I’m going to try it! Let me know if you do!